Have you ever met someone who didn't like a Philly cheesesteak? If so, please disassociate yourself from this crazy lunatic immediately. Cheesesteaks are America's food. Right up there with ice cream, hot dogs, cheeseburgers and apple pie. You don't like cheesesteaks, than, obviously, you pretty much don't like America. 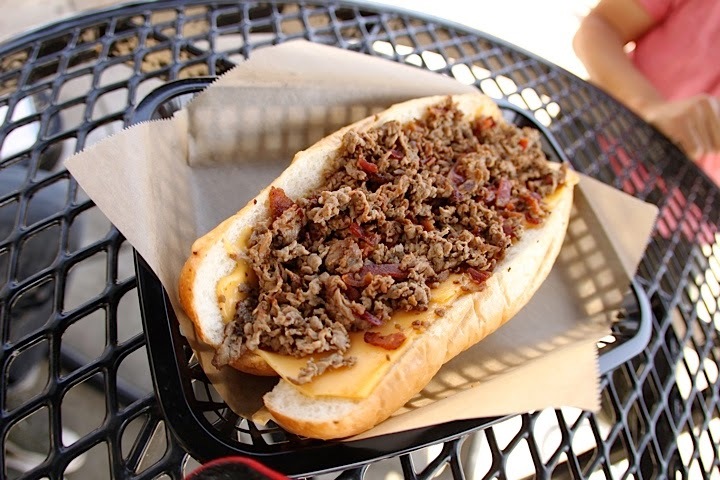 Their utter loveliness aside, Los Angelenos often find themselves lacking cheesesteak options. They just aren't available on every street corner like some other major cities. 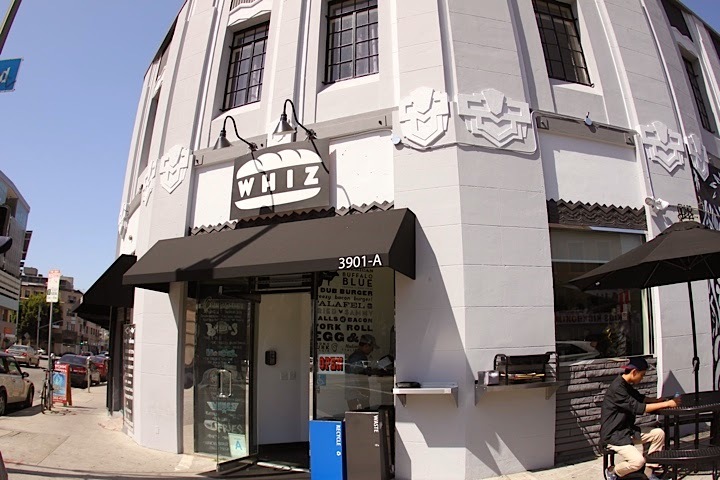 The people behind popular Koreatown upscale bar food/craft beer haven, Beer Belly, want to change that with the recent introduction of Whiz. 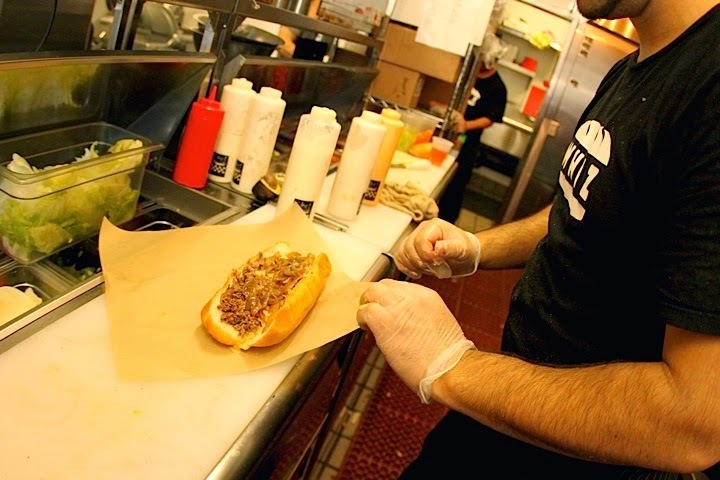 Named after the sacred 'steak cheese sauce, Whiz, located a few K-Town blocks west of Beer Belly, fancies itself as "a neighborhood joint," serving East Coast-style hoagies (a.k.a. BIG, gluttonous, and with an accent), but don't be fooled: this is a classic cheesesteak shop. Sure, there are other items on the menu, but I wouldn't bother yourself. Especially if you make the trek from the westside. Walk into the quaint/tiny/not that big space, order a cheesesteak, maybe two, go back outside, plop down at one of the few tables and anxiously await the Philadelphia experience. Maybe while you bask in the sun, take out your cell phone and call it a "phoon" or, at the very least, ensure everyone in the vicinity knows Rocky is your hero. All Whiz cheesesteaks come on authentic 9" Amoroso's rolls. Also, unlike many West Coast cheesesteak joints, Whiz does not skimp on the meat. In fact, all their sandwiches are filled beyond the brim and at times the bread simply cannot contain its inhabitants. Atop there is the Bacon American (American cheese and Applewood Smoked Bacon), then the Philly Steak (Grilled Onions - with added Provolone) and finally, the Jalapeno Jack (housemade Pepper Jack Whiz and house-pickled Jalapenos). In an attempt to confuse the heck out of you, I inconveniently placed these pictures in descending order of least favorite to most favorite. The Bacon American, while an interesting twist on the classic cheesesteak with the addition of bacon and American, didn't thrill. There's a gimmicky feeling and taste to the sandwich. The bacon seems a tad superfluous on a sandwich loaded with steak. And American cheese clearly deserves the bronze when it comes to cheesesteak cheese options. However, I did enjoy both the Philly Steak and Jalapeno Jack. 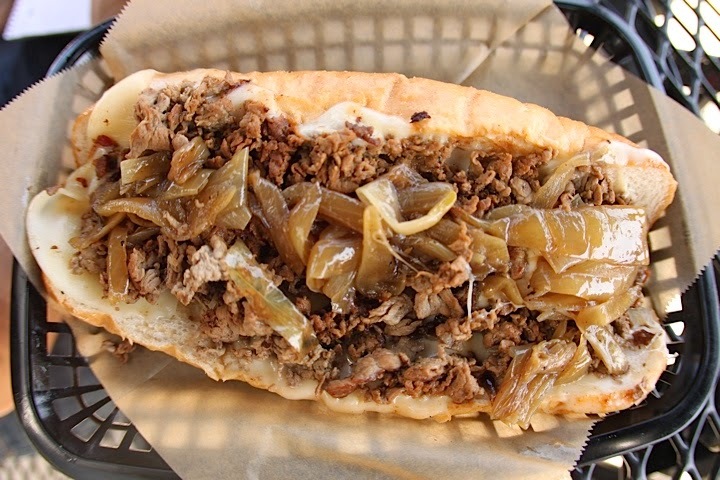 The Philly Steak is about as traditional of a Philly-style steak as one will come by in the Southland - and that is meant with sincere appreciation. No frills, just a quintessential steak and cheese. 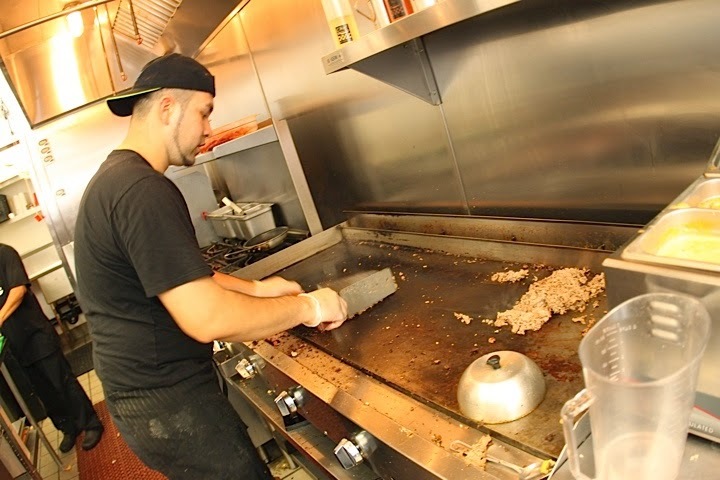 Thin, finely chopped ribeye and deftly caramelized, grilled onions. I added some sweet peppers, but the steak, cheese and onions had plenty of flavor on their own. My favorite of the afternoon though was the Jalapeno Jack. I don't even love cheese whiz, but the housemade, slightly spicy sauce really elevated the sandwich (note: they also offer regular, homemade cheese whiz as well). Initially used as the base to the mac and cheese at sister restaurant, Beer Belly, the whiz is creamy and ideally complimentary to the steak. 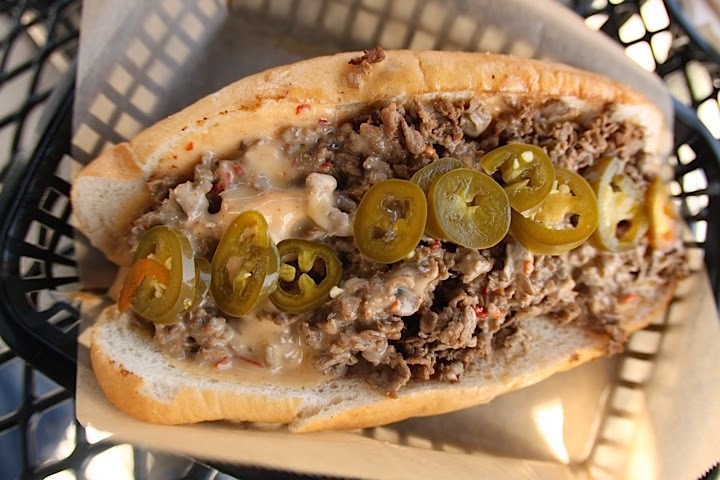 Unlike the Bacon American, the Jalapeno Jack added a twist to the archetypal cheesesteak and, in doing so, elevated it. Only complaint: the whiz made the sandwich a little soggy and forced some utensil usage. We also ordered a side of fries and while I wouldn't dissuade from ordering them, be aware they are your basic krinkle fries. They are especially crisp though. 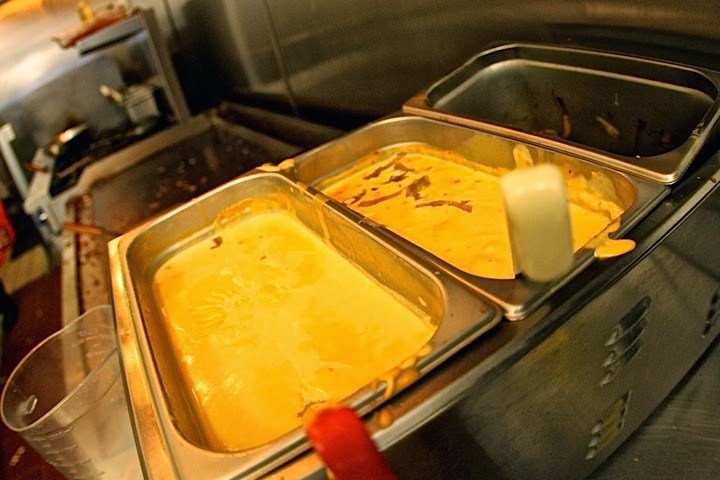 If you have a hankering for a classic cheesesteak, you will like Whiz. It's conveniently located near The Wiltern and will certainly be my pre-show stop from this point forward. 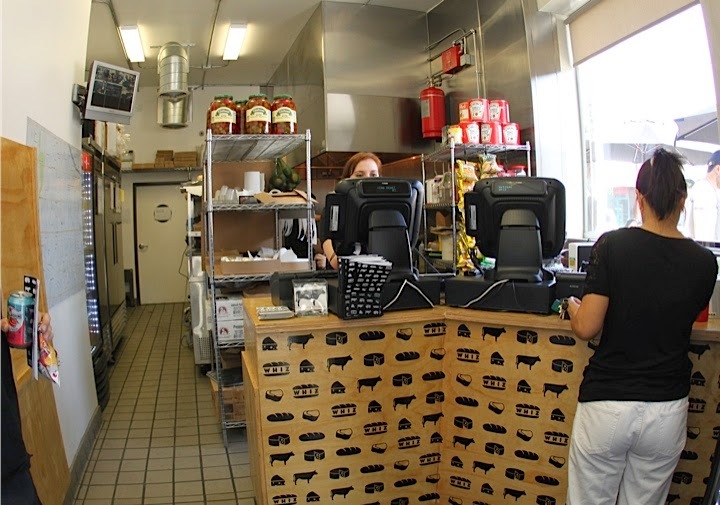 It's a boon to Koreatown - joining other nearby 'steak shop, Boo's. No matter your cheese allegiances though, don't be a fool, go with the namesake, order "wit whiz." 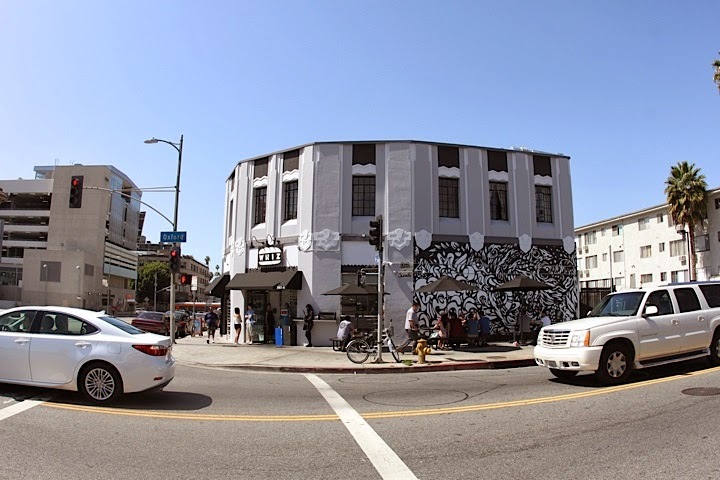 3901 W. 6th Street, Koreatown. Open 7 days a week, 11:30 am - 9 pm.